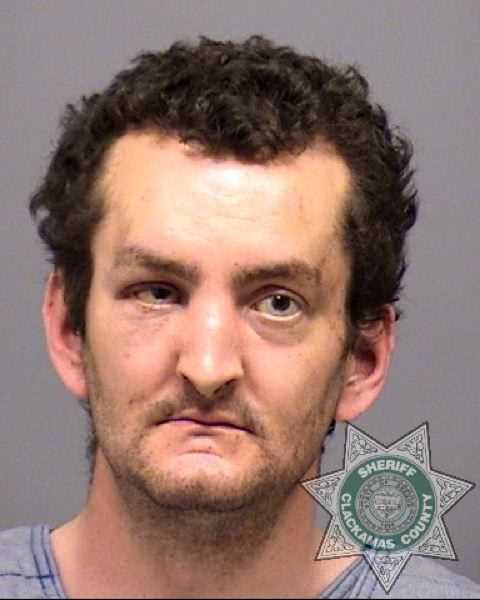 For his role in a violent chain of events that occured in Estacada and Colton on Mother's Day in 2017, Joshua Webb was sentenced to the Oregon State Hospital and will be under the state of Oregon's Psychiatric Security Review Board for life. On Tuesday, June 26, at the Clackamas County Courthouse in Oregon City, the case was decided by a stipulated facts trial, in which both the state and defense agreed to the facts of the incident. Judge Robert Herndon found Webb, 37, guilty except for insanity on charges of murder, attempt to commit murder, first degree assault, first degree abuse of a corpse and first degree aggravated animal abuse. Representatives from the Clackamas County District Attorney's Office outlined that on May 14 of last year, Webb had been seen via surveillance video at his family's home in Colton, where he killed his mother, Tina Webb, and dismembered the body. He also killed his dog. Webb then drove to the Estacada Harvest Market and carried his mother's severed head into the store. He stabbed Michael Wagner, an employee at Harvest Market, with the same knife that had been used to kill his mother. After he was subdued at Harvest Market, Webb appeared to be catatonic. During interviews with police, he admitted to killing his mother and dismembering the body, attacking Wagner with the intent to kill and killing his dog. During subsequent evaluations, psychologists concluded that Webb met criteria for schizophrenic disorder and unspecified schizophrenia. Webb's attorney Maryann Meaney stated that she had not disagreed with these reports. After finding Webb guilty except for insanity on all counts, Herndon stated that he would not be a suitable candidate for conditional release in the future. Herndon noted that doctors have reported that although Webb is on antipsychotic medication, he continues to experience hallucinations and delusions and hears voices. "Without the State Hospital, the continued mental illness would make him a danger to others," Herndon said. Wagner stood behind his daughters with his arms around them while they shared a statement from their family with the court. Their statement said that the incident had affected them "in more ways than we could have imagined." They described experiencing "a roller coaster of emotions" and noted their "extreme gratefulness for the love and support" that had been shared with them. They also noted that they were "concerned the consequences of Webb's actions may not be addressed" and described the possibility of his release as "terrifying and painful." Clackamas County Senior Deputy District Attorney John Wentworth read a statement from Webb's family, which described the consequences for Tina Webb's death as "much too weak" and said the sentence should include prison time. Webb declined to make a statement. Meaney noted that he doesn't take the incident lightly. and thankful for any help he gets." Herndon noted that Webb had "reported himself as a killer beforehand to two police agencies, hoping he would be arrested." Herndon emphasized that Webb is "not an appropriate candidate for release." "He continues to represent a substantial danger to others," he said.